(Bloomberg) -- When Christophe Fofana, a 29-year-old taxi driver and student in Ivory Coast, needed a birthday present for his daughter last year, he did something he hadn’t done before. He went shopping online. Often tagged as Africa’s Amazon.com Inc., Jumia has been able to grow in markets largely untapped by the U.S. heavyweight, which is hampered by a lack of distribution infrastructure on the continent. To tackle the issue of vague addresses in many African cities, Jumia has built a network of leased warehouses, pick-up and drop-off locations and brought in a string of delivery partners to ensure reliable service. 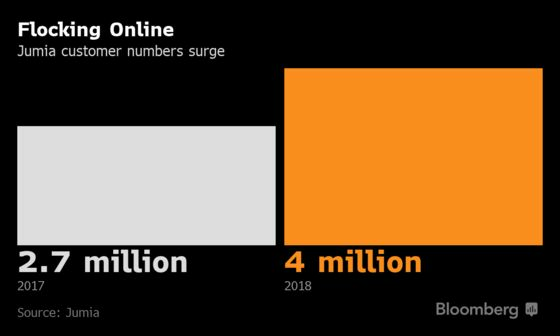 Less than 1 percent of retail sales in Jumia’s African footprint are conducted online compared with almost 24 percent in China, the company said in the filing, citing Euromonitor International data. That makes the continent ripe for internet sellers as more Africans adopt smartphones and get access to mobile broadband. Jumia’s revenue jumped by almost 40 percent last year to 130.6 million euros ($147.3 million). French drinks firm Pernod Ricard SA, the maker of Absolut vodka, invested 75 million euros in December, giving the firm a 5.1 percent stake and vaulting Jumia into unicorn territory with a 1.4 billion-euro valuation. 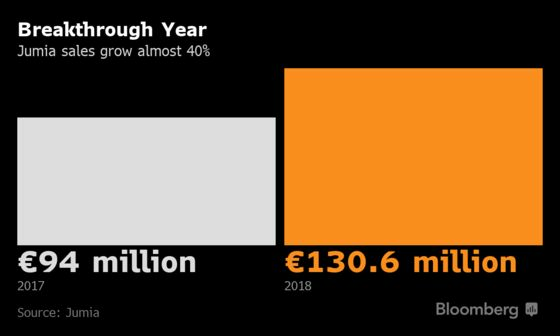 Mastercard Inc. followed with an agreement to buy 50 million euros in stock in a private placement alongside the planned IPO. Prior to the offering, Jumia’s biggest shareholder is South African wireless carrier MTN Group Ltd. with a 30 percent stake, followed by Rocket.